I have many exciting things happening in 2019 but this is probably the most exciting thing I’ve ever done in my career. I’m inviting you to come with me to the Holy Land. We will be spending 8 days exploring where Jesus walked and ministered. To book and for more details you can call 1-800-679-9201. This will truly be a once in a lifetime trip! I can’t wait to experience it with my fans and friends. Space is limited so be sure to book your trip today. We are giving a 10% early bird special for the first ones signing up. “Love is the Golden Rule” is now shipping! 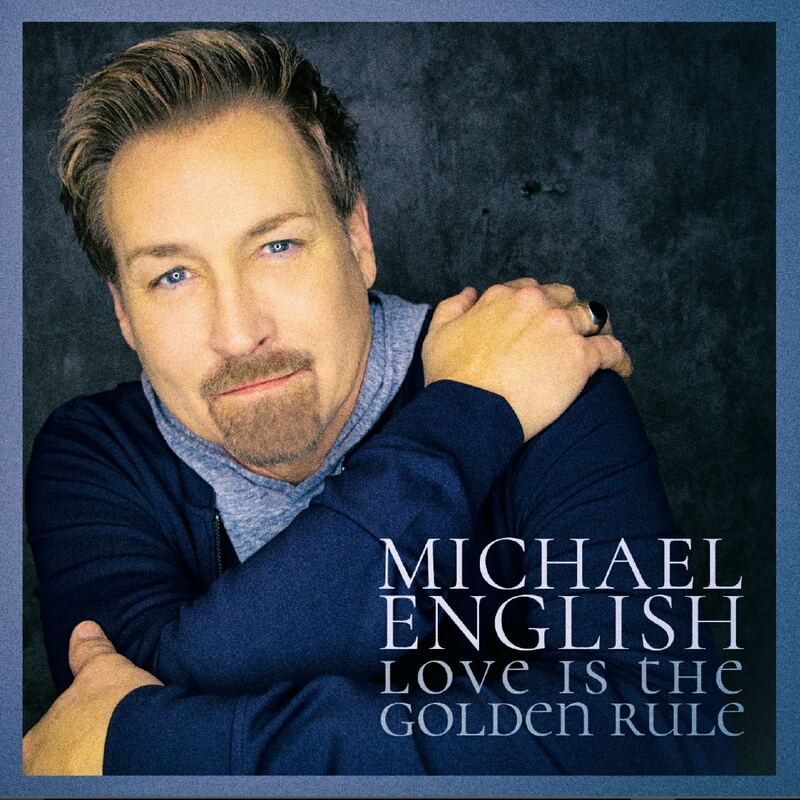 Michael’s new CD “Love is the Golden Rule” is almost ready to ship! We are excited to announce that pre-sales have started today! Check here or on Michael’s Facebook Page for the latest updates. Most people aspire to normalcy and arrive at complacency. Most people reach comfortable and, for better or worse, decide to stay. 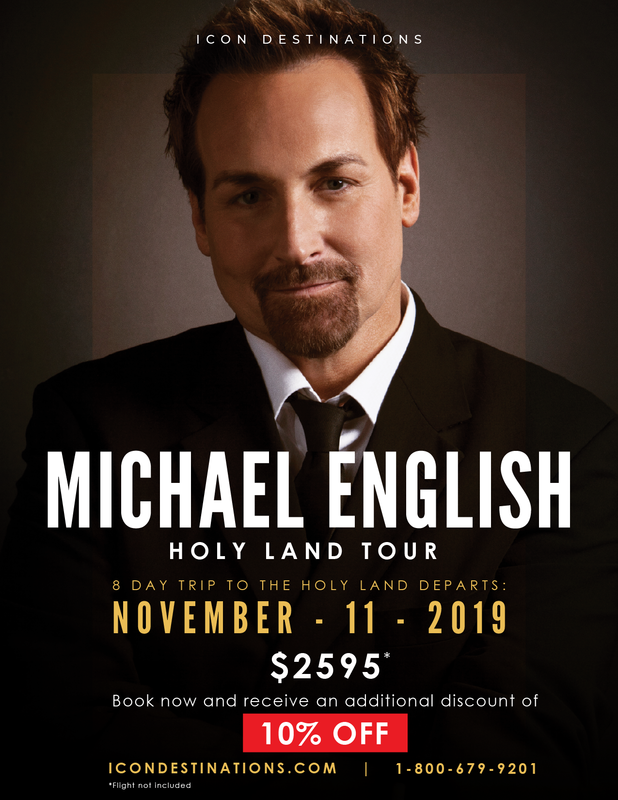 Michael English isn’t most people. In a culture that would rather turn a blind eye instead of pursuing something more…something different…Michael stands among the few who intentionally and passionately pursue change from the inside out. Not behavior modification…not a step-by-step program to self-improvement…but an active, daily encounter with our endlessly creative Savior. Encounters that bring you face to face with the One who knows the innermost workings of the heart He created inside and gently, firmly, molds, shapes, leads and guides that very heart until it is more and more like His. This is where Michael English is living. Not among the many; but among the few who dare for more…the ‘some’ who dare to change. And so, six years out from his last full-length project, it’s fitting that his magnificent return to the studio as a solo artist embraces, explores and celebrates that, yes, indeed, Some People Change. As with every creative venture Michael has pursued, including his current stint as lead vocalist for the Gaither Vocal Band, the record only confirms what the audience and the industry have known since he first broke into the music scene in the late 80s, his voice, delivery, artistry are second to none. Produced by long-time friend and music legend in the making in his own right, Jay DeMarcus, of Rascal Flatts the album hits all the right notes. And from beginning to end, the relentless mercy, grace and redemption of God takes center stage in a non-assuming way, approachable way that let’s the music speak for itself, while showcasing one of the most powerful voices the industry has ever known reminding us all why Michael English is decidedly, as Jay describes it, among the elite singers of the world. “No one knows my voice better than Jay,” Michael affirms. The two had previously worked together on Gospel (1998), which was largely Southern Gospel in style and sound. For this record, a hint of Michael’s native North Carolina comes to the fore, emanating a soulful jaunt to his roots and back—a decision that was reached through very careful and intentional prayer and focus. “I was a little afraid about going in those directions, but that’s where I trusted Jay,” Michael says. And from beginning to end, the big songs, the big voice and the honest heart of a life lived in the trenches and the mountain tops weave together a brilliant mirage of the kind of music that makes you step back and look at life with newer, kinder eyes. “When people listen to it, they’re really happy about it,” says Michael. The eclectic mix of old songs and new, guest artists and good ol’ fashioned vocal chops intersect beautifully-yet another testament of a great artist—one with whom other great artists want to collaborate. On this particular record, powerhouse Crystal Lewis makes an appearance on the duet “Knew You Were Waiting,” originally sung by Aretha Franklin and George Michael, and later re-cut by Michael McDonald. “Singing with her has always been a dream of mine,” says Michael. 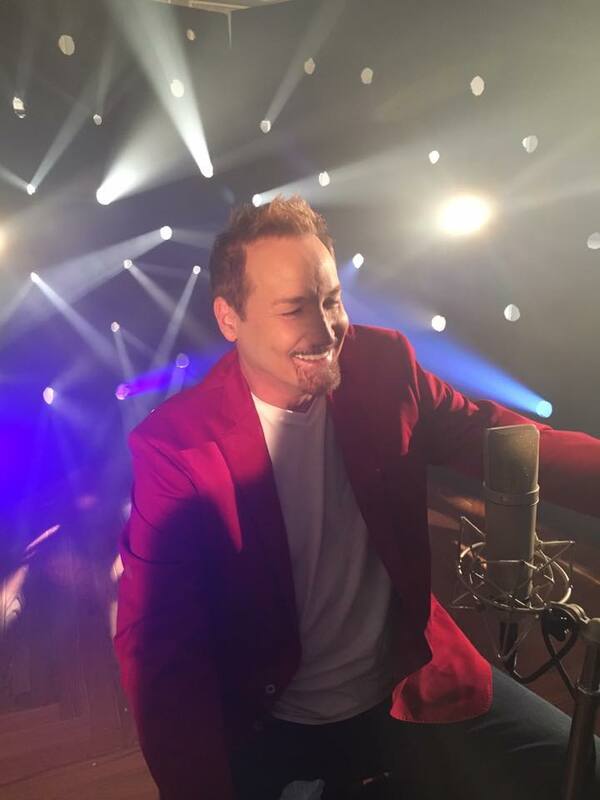 Other songs on the record include “Stubborn” formerly recorded by Lee Ann Womack, a remake of his arguably most popular song, “In Christ Alone,” and the title track, originally cut by Montgomery Gentry. Through powerful stories and imagery, the song tells a tale of everyone who has faced adversity, been beaten up a bit by life, yet come through even stronger for it. “Here’s to the strong; thanks to the brave. Don’t give up hope: some people change. Love finds a way: some people change. Like everyone else, Michael has traversed his fair share of valleys. While at a precipice of his musical success, life showed up in ways that forced Michael to step back, regroup and rediscover what it means to be truly dependent on Christ. Transparent about his own mistakes and struggles along the way, Michael can now authentically meet them at the intersection of grace and shame…as a living testimony of God’s promises to work all things for good. Today, Michael is singing with a wisdom that only life, trial and honesty can lend. It’s that same honesty and vulnerability that has allowed Michael to identify with, pray for and connect with people around the world who are struggling, who are flailing, who are…people. “When that song went number one in 1990, I was being treated for depression,” he shares. In a new place spiritually and emotionally, Michael’s latest interpretation brings the song to life in a new way…which also comes across sonically—a gamble for such a well-loved classic. Understandably a bit wary about reworking such a career song, Michael did his due diligence to run it by one of his most esteemed fans…quarterback Frank Reich. On January 3, 1993, Reich replaced starting quarterback Jim Kelly, to lead the Buffalo Bills from a 31–0 deficit to a 42–40 victory over the Houston Oilers. It remains the largest comeback in NFL history to this day. In a press conference following the game, Reich shared that his inspiration came from listening to “In Christ Alone” immediately prior to taking the field. Michael, a Buffalo Bills fan had not seen the end of the game or even knew that his team had pulled it out until he started getting phone calls from others who heard Frank crediting the song and Michael in a post-game press conference. “I wanted to make sure Frank was ok with the new version,” shares Michael. Indeed, the entire album is reflective of a master artisan. With truths that are undeniable, a heart willingly transparent for the glory of God’s work and refined musicality that can only come after years in the studio of life, Michael English is once more affirming the source of his ultimate strength, the one who is endlessly creative and relentlessly in pursuit of the hearts of his children in the sweet spot of anointed collaboration and undeniable talent. And in this culture steeped in complacency, judgment and un-reconciled shame, Michael once again proves that he is not satisfied with the norm. As enigmatic and soul-stirring as ever, Michael is proof positive that yes, for better or worse, some people do change; but the gifting from the one who sings His own melody of salvation, when committed into the hands of the Giver only get better and better as the years go by. If you are interested in booking Michael for a concert or other appearance, let us know. You can email us at [email protected] or fill out the form below.